Released this spring, Tiny Hands has a seriously impressive ingredients list: argan oil, aloe vera, cocoa and shea butters and oils of marigold and chamomile are all in the mix. It’s enormously satisfying to rub the bar between my hands until they're slick with a vanilla-and-wildflower scented oil. Such lavish use means the product takes time to absorb, so I keep it in my bedside drawer, in its yellow paper bag, to apply before I sleep: it works wonders overnight, for soft, smooth hands come morning. 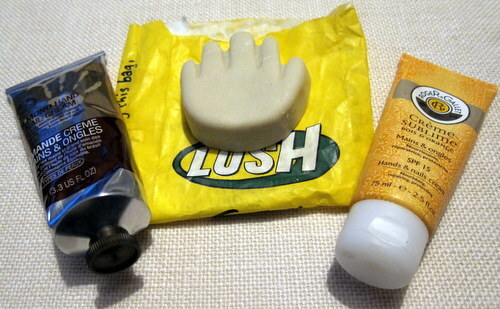 In accordance with Lush’s green agenda, the solid form eliminates the need for packaging – but, in my case, not the desire for it! Launched this month, this sublimely scented cream promises to improve the hydration and comfort of your hands for 8 hours after application. The ingredients include nourishing argan oil and oil of evening primrose, and it was a real plus to see this also contains an SPF of 15. It feels almost velvety on the skin, and, thanks to a special mattifying agent, absorbs quickly with absolutely no greasiness. 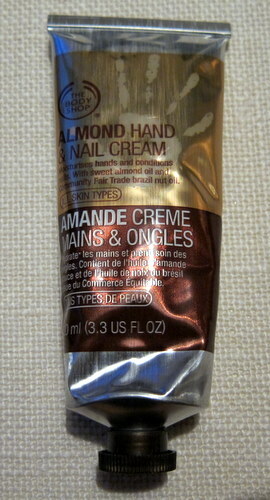 A lot of hand creams make that claim: this one really delivers. Accordingly, the sunny yellow tube is perfect to chuck into the handbag to apply on the move, or to keep on your desk at work. I really think this is a fantastic price for such a high quality product. Suitable for all skin types, this new cream from The Body Shop harnesses the moisturising power of sweet almond oil, used to nourish skin for centuries, along with Community Fair Trade brazil nut oil. It smells delicious and is easily absorbed, if not quite as quickly as the Roger and Gallet offering. Feels rich and pampering – I keep this one on my living room table and use as part of my regular manicure routine. For dry skins, try the Hemp range, while mature skins will fare better with Wild Rose. All 3 new Body Shop ranges include a nail and cuticle oil, conditioning hand wash and hand and nail butter. The Body Shop are also running a special offer from now until October 6th, where you can purchase any hand care product and receive a second item for half price, along with a complimentary hand and nail treatment. Which hand and nail treatments do you really rate? 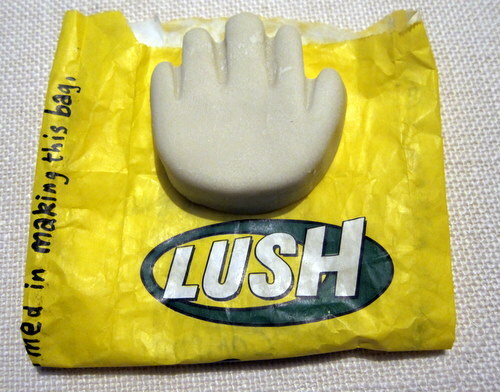 ooh I've always wanted to try Lush's tiny hands bar! Thanks guys, great to get some new recommendations there!